A wonderful lady! She did much for so many! Rest in peace, Joyce! Registered nurse, advocate for Gulf War veterans, and longtime C2C guest Joyce Riley has passed away. Riley served as a Captain in the USAF in support of Operation Desert Storm, flying active duty missions on a C-130 aircraft from Alaska to Cuba. The mysterious series of ailments were largely ignored by the federal government until, nearly two decades after combat had ended, Gulf War syndrome became officially recognized by the US Department of Veterans Affairs in 2008. This breakthrough was fueled, in large part, by the work of Riley and others like her, who continually sounded the alarm about the issue when many refused to give it credence. An indefatigable spokesperson for veterans' issues, she appeared on Coast to Coast numerous times over the span of more than a decade, detailing not just the challenges surrounding the Gulf War illness, but also PTSD and other hurdles faced by those who sacrificed for our freedom. Alongside her husband Dave vonKleist, Riley also hosted the popular radio show, The Power Hour, which has been on the air for almost twenty years. 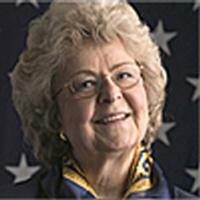 A true patriot in every sense of the word, Joyce Riley will be greatly missed by her family, friends, and colleagues. Joyce Riley has gone on to be with the Lord. Office Hours â€“ Thursdays 8:00-4:00 est.